Investment in enterprise security is increasing, yet cyber threats are continually evolving and adapting to the most sophisticated defenses. 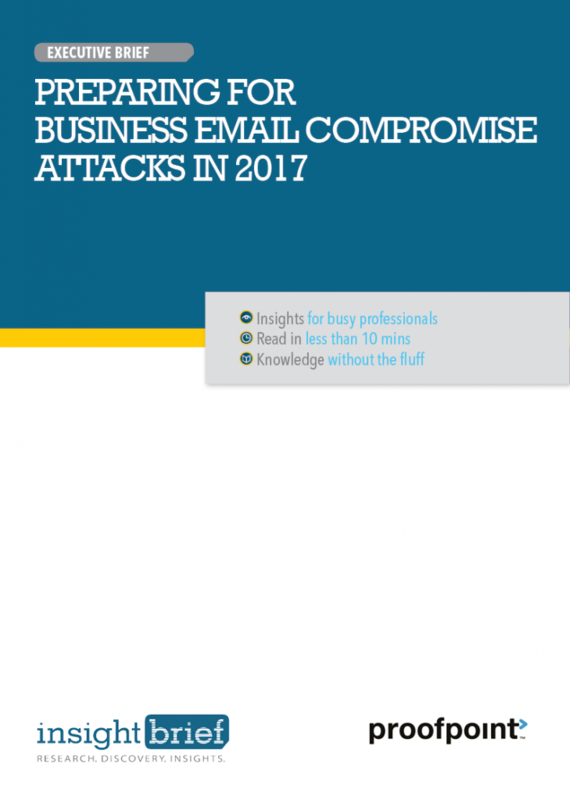 In particular, Business Email Compromise (BEC) and imposter fraud present an ever growing threat to organizations in 2017 and beyond. Summarizing key insights from a Proofpoint webinar, this briefing document provides the busy professional with a quick, easy-to-read and share format.